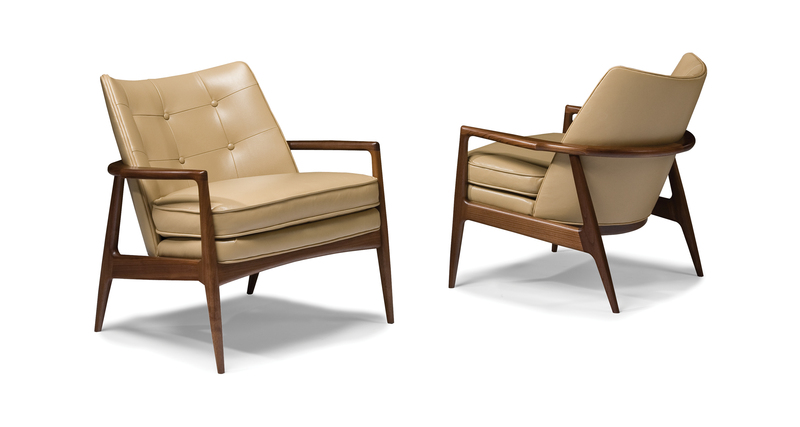 Designed by Milo Baughman in 1965, our Draper lounge chair is a midcentury modern classic. Featuring a solid walnut external frame, a steam-bent plywood interior frame and sumptuous tailored upholstery, Draper oozes classically handsome, powerful and enduring good looks yet cradles in comfort. Select any of our in-house curated fabrics or leathers for upholstery. Exposed wood frame solid walnut. Finish shown standard.